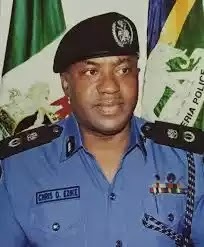 The Imo State Commissioner of Police (CP), Mr. Chris Ezike, has said that the command is determined to apprehend the murderers of Rev. Fr. Cyriacus Onunkwo. The police commissioner, on Tuesday, that the police had begun their investigations which would eventually unmask the culprits. .Onunkwo was a priest in one of the Catholic dioceses in the state before he was murdered by yet-to-be-identified murderers last week. The police during their search later discovered his corpse in Orsu Local Government Area where it was abandoned. The commissioner of police described the incident as “inhuman and aberration” to human existence. “How can anybody think of kidnapping or murdering a priest who is ordained to serve God? “I am very optimistic that we will soon apprehend the culprits and bring them to book; this is my assurance to the Imo State Government, the family of the victim and the general public”, he said. Meanwhile, Gov. Rochas Okorocha on Tuesday described the murder of Onunkwo as “senseless and wickedness”. The governor’s reaction is contained in a statement issued to newsmen by Mr Sam Onwuemeodo, the governor’s Chief Press Secretary (CPS). The governor said that the kidnappers would have to pay for their evil act.